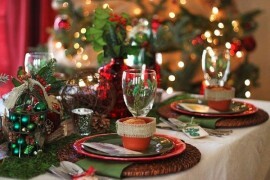 Christmas and holiday decorating is one of the most enjoyable activities of the season. 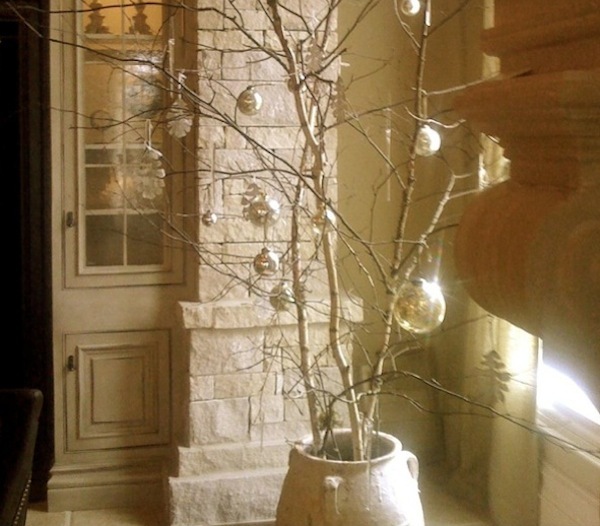 Transforming your autumn home into a winter wonderland is made easier with the addition of the perfect Christmas tree. If you have a small home, not enough space in your room or you just don’t want to dedicate an entire space to just the tree, there are solutions to help. 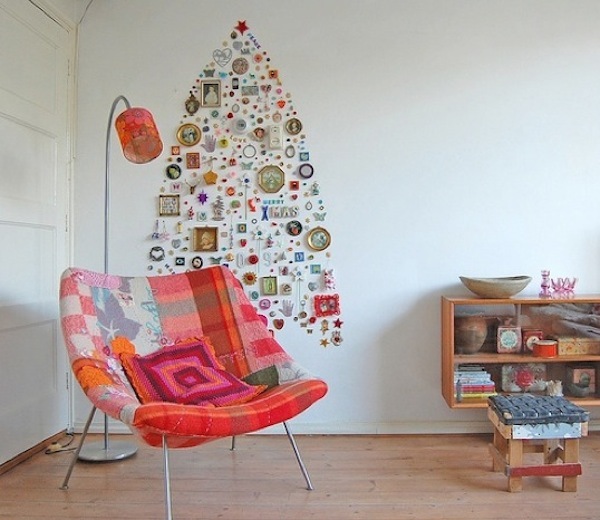 From potted container trees to abstract wall Christmas trees the options are limitless. 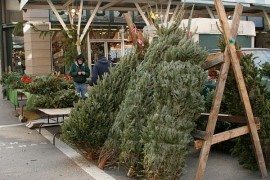 If you are trying to find a creative way to house a space-saving tree this season, take a look these ideas that you will want to try this holiday season. If you want a live Christmas tree, consider using the best part of the tree – the top for your space-saving needs. 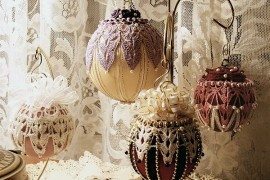 Many tree nurseries and Christmas tree vendors will have smaller trees available for your tabletop and they can still be decorated and adorned with beautiful holiday ornaments and lights like their larger cousins. For many homes, a potted Christmas tree is a great option as it will live longer because its planted in soil and once the holidays are over, the decorations can come off and still make a great house plant. 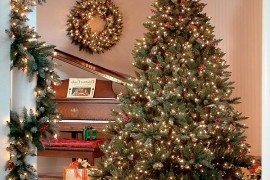 While you may love the idea of evergreens in your home, you may not want the actual tree in your home. Many allergy sufferers prefer to have an artificial tree or even have abstract art Christmas trees hung on their walls. Your do it yourself creativity can let go with this idea. From greeting cards that you receive in the mail shaped into a Christmas tree shape affixed to the wall to using family portraits on a bare wall, you will love the options. Abstract trees don’t require any floor space to clutter up valuable walking areas and your bare wall will gain a “new life” for the holiday season. 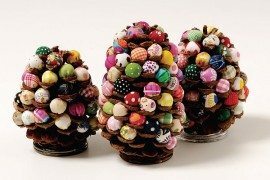 You may be thinking, ‘where do I put all of the holiday gifts?’ If you plan on using a potted tree or a small container Christmas tree, stack gifts in baskets or other smaller containers, vases or creative bins decorated similar to the Christmas tree for a coordinated look. For abstract trees or tabletop trees, why not use gift bags in various sizes to hold the gifts? This will set the scene in an adjacent corner and still look festive in your home. 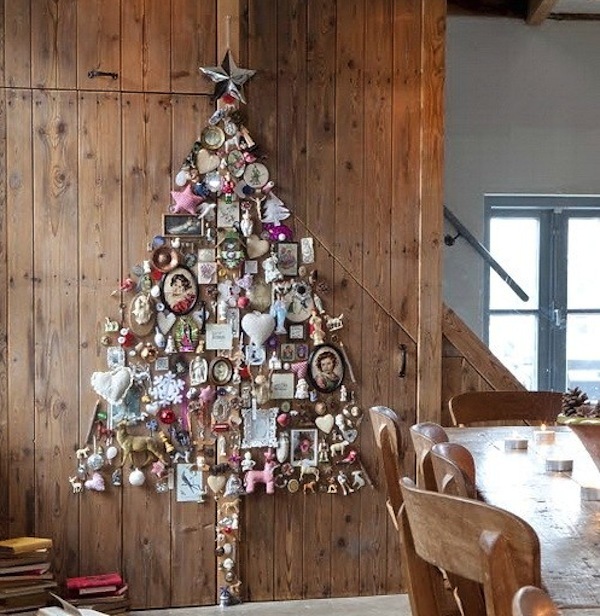 Just because you are opting for a space-saving tree this season doesn’t mean you can’t beautifully display gifts! 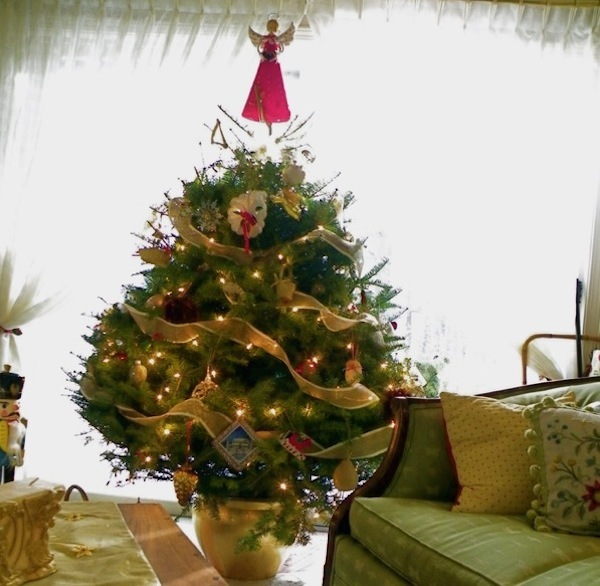 If you were thinking you had to go without a Christmas tree this season due to space-saving constraints, think again. Use these creative ideas in your home: from containers and potted trees to abstract wall varieties, your home has plenty of inspiration. Get creative this season; after all, next year you can pick a whole new idea and theme to bring Christmas beautifully into your winter home.